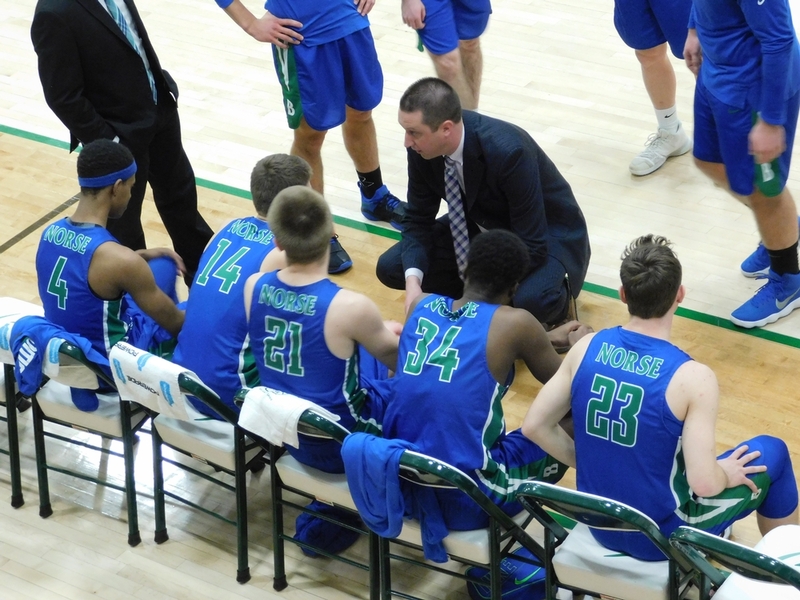 IRONWOOD---The Bay College men’s basketball team lost a marathon Wednesday night in their first-ever meeting with Upper Peninsula rival Gogebic Community College. 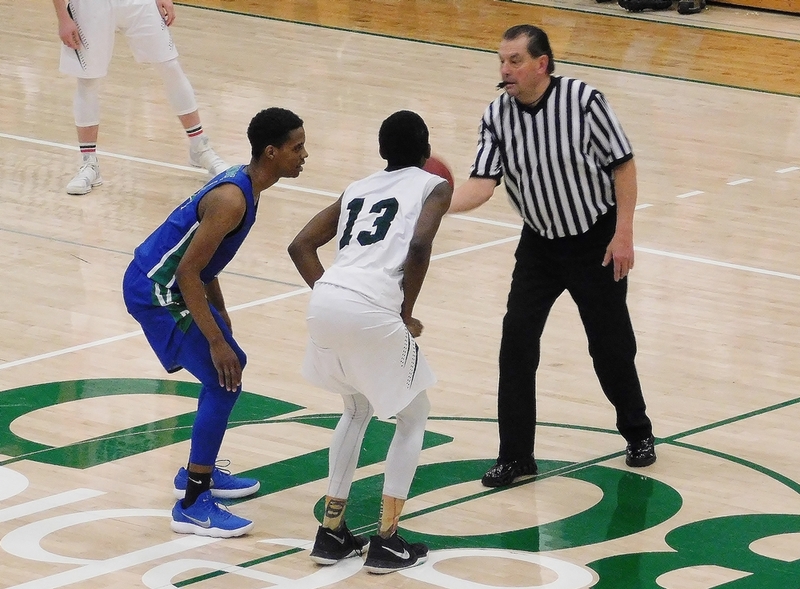 The Norse had the lead for most of the night, but couldn’t put the Samsons away, and GCC pulled out a thrilling 96-89 victory in triple overtime in Ironwood. 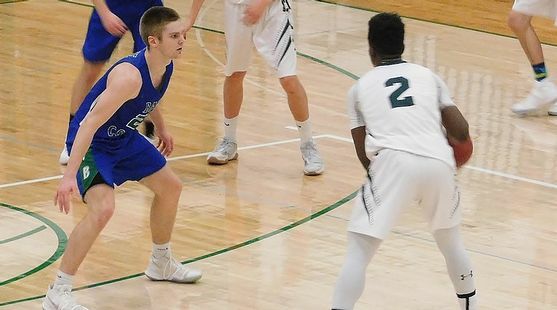 Trevor Cook scored 27 points, including several baskets in key moments, and Garfield Voker added 20 points to lead the Samsons. 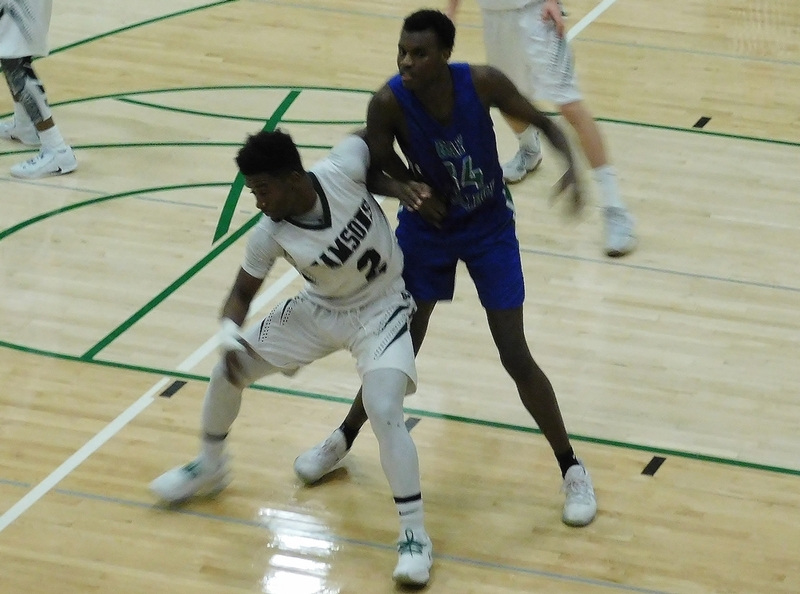 The game was close all night long, with the Norse taking their biggest lead, 49-41, after Jace Briggs connected with a jump shot and Alfonzo Fields added a basket and foul shot. But the Samsons, despite the fact they had a game on the road in Hibbing, Minn., the night before, kept battling back. When Cook cut to the basket and made a basket and was fouled, GCC had a 64-59 lead. 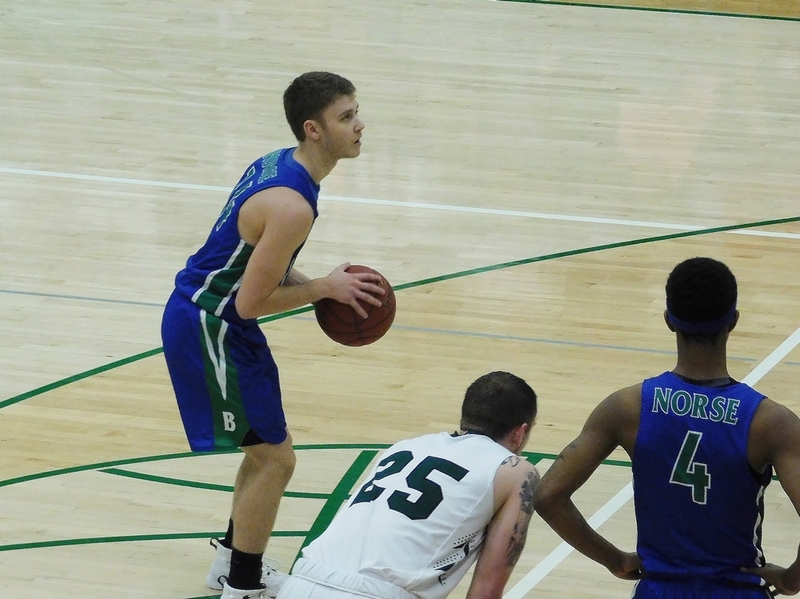 Bay College scored the next five points to tie the game at 64, as Kobi Barnes and Dre Tuominen scored and the Norse played well on the defensive end. In fact, Bay would have won the game had they not had an uncharacteristically-poor night at the free throw line. The Norse shot just 51 percent (13 for 25), and that included key misses down the stretch. In the first overtime, Marcus McKenney started things with a pull-up jumper, and Barnes and Tuominen both scored baskets. Bay led, 74-71, when the Samsons needed a triple: and got one, from Cook, with five seconds left in overtime. The Norse pushed it up court, and Alfonzo Fields was stuffed on the baseline on his potential game-winning basket. No foul. On to a second overtime. The Norse again had the lead, 81-77, after Tuoinen went to the basket and scored. But Voker came back with a basket…and he drew Barnes’ fifth personal foul, with 1:27 left in the second overtime. Voker’s free throw cut it to 81-80, then after Tuominen missed on the baseline twice, the Samsons took an 82-81 lead on Voeker’s free throws. The Norse attacked the other way, and Tuominen, who makes 91-percent of his free throws, missed one of two. So, the game was tied, and the game went to a third overtime. The Samson’s took advantage of Barnes’ departure by having Voker and Denver Sharrow drive to the basket. And unlike the Norse, the Samsons made their free throws (22 of 26 for the game) and all eight in that third overtime. Barnes had 17 points and 16 rebounds, and blocked three shots in a row during one sequence. Willette had 16 points and nine rebounds, and Fields added 14 points, including three triples. McKenney fouled out with 13 points. Tuominen led all scorers with 22 points, on 8-for-21 shooting from the floor and 3-for-6 from the line. 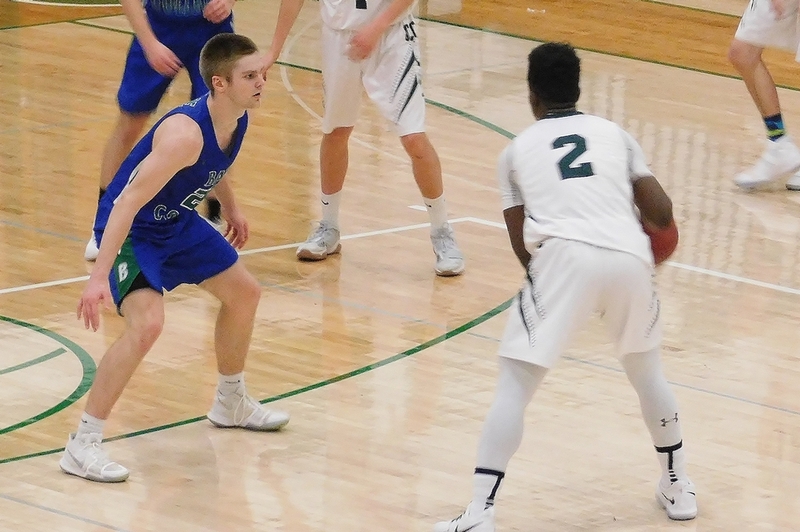 Gogebic improved to 12-7 on the season. Bay College fell to 13-8. The Norse return to action next Wednesday with another road game, at University of Wisconsin-Manitowoc. The game will be broadcast live on Maverick 106.3 FM. 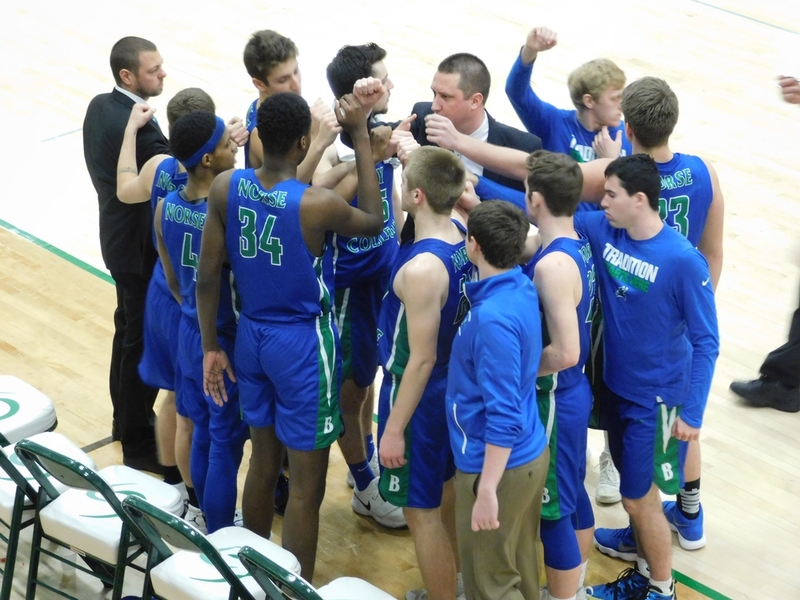 Click the thumbnails in the ARTICLE HIGHLIGHTS box above to see photos, videos from the three overtime periods, and listen to interviews with Damian Richmond and Coach Matt Johnson. Also, click the AUDIO button to listen to a replay of some of the overtime action.